Ahhhh I just finished the last of the dishes from our Thanksgiving meal, my kids are asleep and I just poured myself a cup of tea. I’m officially “off duty”! Yeeehaw! This was my second year making a completely clean Thanksgiving meal and I think it turned out great!! 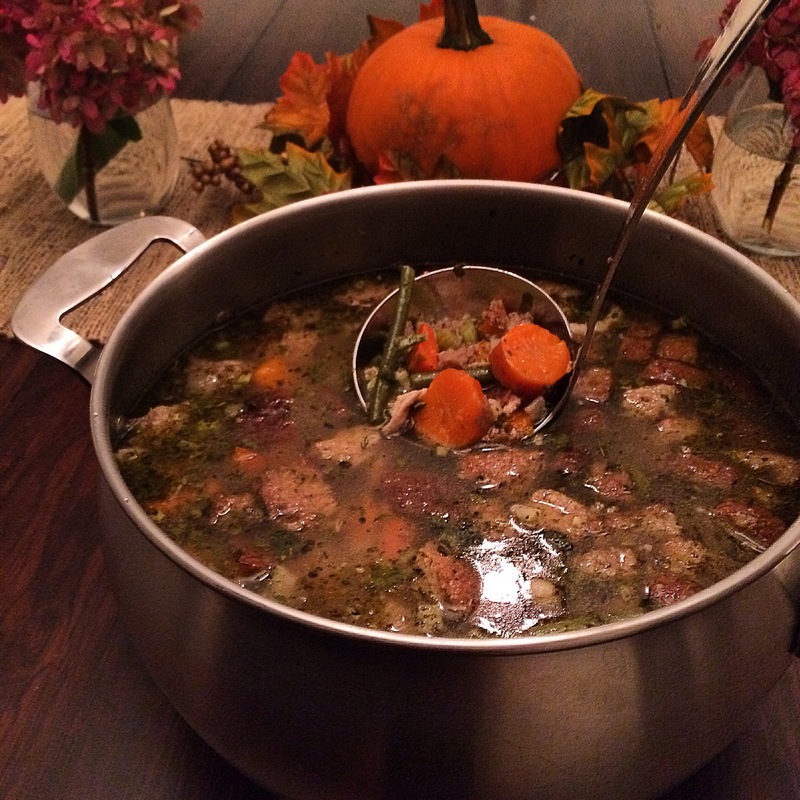 This year I also turned all of my leftovers into a delicious soup! No cooking for me tomorrow either! 🙂 See what I did there?! 🙂 This recipe is very basic and will obviously vary depending on the sides you made for your dinner. I will list the veggies that I used, but you may substitute any veg in it’s place. To make it even easier I have a pot ready when we are clearing off the table and I put all of the veggies straight from the serving platters into the soup pot! No need to dirty a bunch of tupperware containers with the leftovers! This is so easy and delicious! Enjoy! Combine all ingredients in a pot and heat on the stove to eat immediately or store in the fridge for dinner tomorrow! The Sugar Made Me Do It!